The public healthcare system has a reputation for being highly in demand and as a result, healthcare professionals are often under strain. According to government figures, there were 1.6 million patient discharge in public hospitals compared to 360,000 in private hospitals in 2013. With only roughly 4,000 private hospital beds available in Hong Kong, there is a severe shortage of private healthcare available to the community. 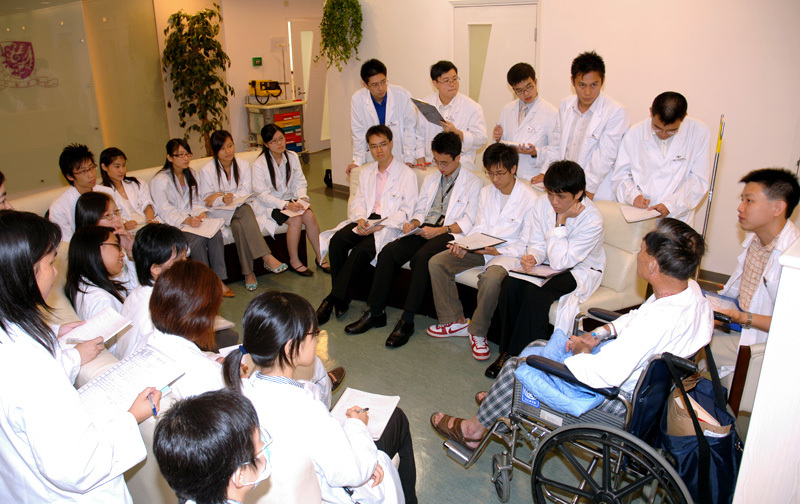 CUHK’s medical students are understanding a patient’s conditions. The CUHK Medical Centre will offer innovative quality healthcare service supported by translational research and advanced technology. 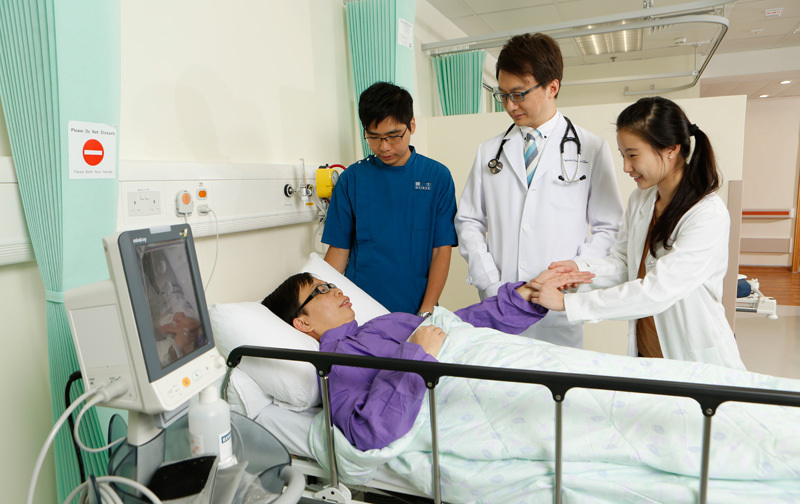 The CUHK Medical Centre will provide a first-class environment and facilities for medical students, doctors, nurses, pharmacists and allied health workers. 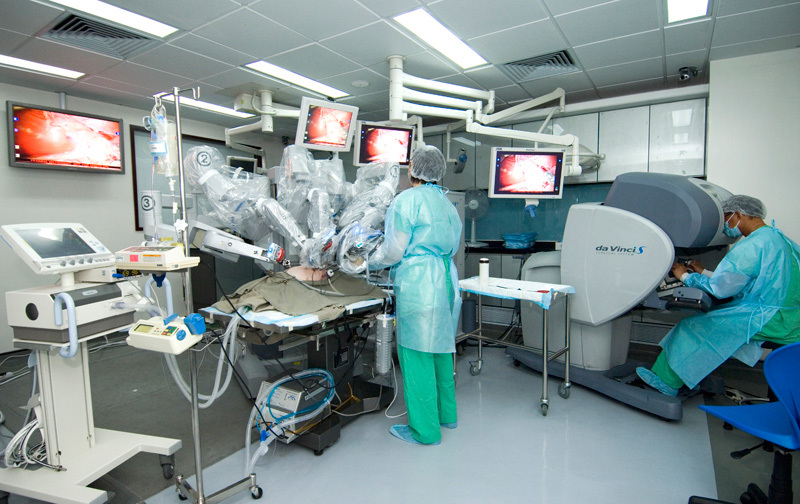 The Chinese University of Hong Kong (“CUHK”) is actively planning the development of a university-owned, non-profit teaching hospital, the CUHK Medical Centre (“Medical Centre”), in their Shatin campus to diversify healthcare provision in Hong Kong. Recognizing the value of the project and the implications it would bring about in the healthcare sector, the Foundation has pledged to support the Medical Centre to achieve its mission of establishing a new model of sustainable medical and health services in Hong Kong. The CUHK Medical Centre will provide a total of 600 beds with a full range of inpatient, outpatient, ambulatory diagnostic and treatment services, as well as age friendly facilities. The Medical Centre will pioneer a unique management and operating model to attract and retain healthcare professionals. It will also serve as a key base for clinical research, healthcare education and training, facilitating the translational application of research and clinical service innovations. While on the client facing front, CUHK aims to bridge the service gap between private and public sectors by introducing the extensive use of packaged pricing, offering affordable and transparent services for the local community. A ground breaking ceremony was held on December 8, 2016 marking the commencement of construction of the Medical Centre. The new facility is expected to come into operation in the second quarter of 2020. For more details about the Medical Centre, please visit their official website.